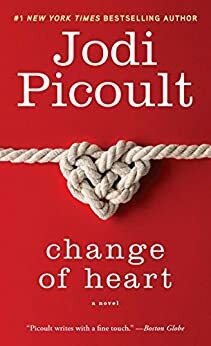 I’ve always been a fan of Jodi Picoult books, ever since I saw my mom reading them when I was a kid, and I’m happy to say my love for Picoult has continued to this day, and I’ve read almost everything she’s written. I’ve only been really disappointed once and bored a few times, but most of her books are great. However, I still have a top 5. 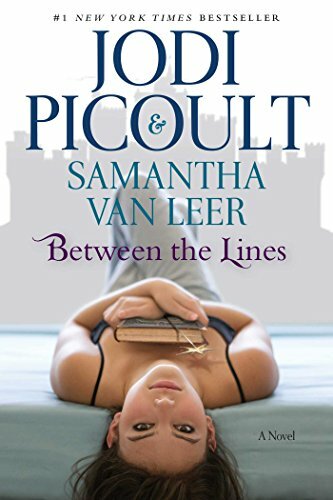 Here are my favorite Jodi Picoult books, one with riveting narrators and bone-chilling detail and plot twists galore. 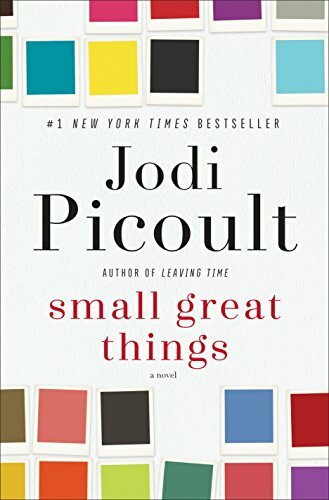 These are not ranked in any particular order, except for the first one, which is probably my favorite Jodi Picoult book of all time. Here’s to waiting for her next book, which should be coming anytime soon! Some honorable mentions that didn’t quite make the list include: Sing You Home, Lone Wolf, and House Rules. For more than a decade, Jenna Metcalf has never stopped thinking about her mother, Alice, who mysteriously disappeared in the wake of a tragic accident. Refusing to believe she was abandoned, Jenna searches for her mother regularly online and pores over the pages of Alice’s old journals. A scientist who studied grief among elephants, Alice wrote mostly of her research among the animals she loved, yet Jenna hopes the entries will provide a clue to her mother’s whereabouts. Desperate to find the truth, Jenna enlists two unlikely allies in her quest: Serenity Jones, a psychic who rose to fame finding missing persons, only to later doubt her gifts, and Virgil Stanhope, the jaded private detective who’d originally investigated Alice’s case along with the strange, possibly linked death of one of her colleagues. As the three work together to uncover what happened to Alice, they realize that in asking hard questions, they’ll have to face even harder answers. As Jenna’s memories dovetail with the events in her mother’s journals, the story races to a mesmerizing finish. 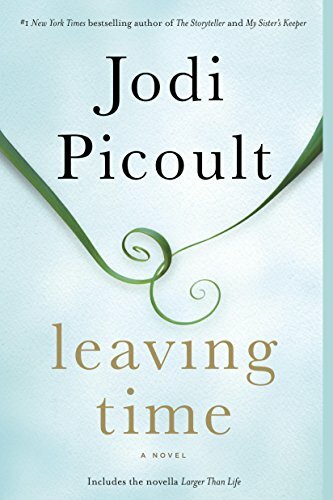 A deeply moving, gripping, and intelligent page-turner, Leaving Time is Jodi Picoult at the height of her powers. Can we save ourselves, or do we rely on others to do it? Is what we believe always the truth? One moment June Nealon was happily looking forward to years full of laughter and adventure with her family, and the next, she was staring into a future that was as empty as her heart. Now her life is a waiting game. Waiting for time to heal her wounds, waiting for justice. In short, waiting for a miracle to happen. For Shay Bourne, life holds no more surprises. The world has given him nothing, and he has nothing to offer the world. In a heartbeat, though, something happens that changes everything for him. Now, he has one last chance for salvation, and it lies with June’s eleven-year-old daughter, Claire. But between Shay and Claire stretches an ocean of bitter regrets, past crimes, and the rage of a mother who has lost her child. Would you give up your vengeance against someone you hate if it meant saving someone you love? Would you want your dreams to come true if it meant granting your enemy’s dying wish? 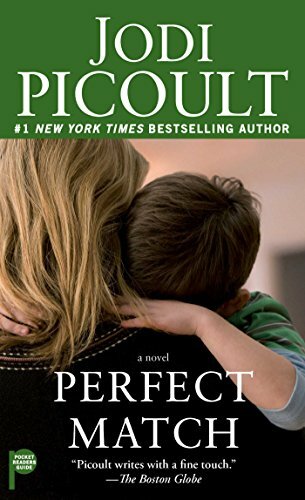 Once again, Jodi Picoult mesmerizes and enthralls readers with this story of redemption, justice, and love. Ruth Jefferson is a labor and delivery nurse at a Connecticut hospital with more than twenty years’ experience. During her shift, Ruth begins a routine checkup on a newborn, only to be told a few minutes later that she’s been reassigned to another patient. The parents are white supremacists and don’t want Ruth, who is African American, to touch their child. The hospital complies with their request, but the next day, the baby goes into cardiac distress while Ruth is alone in the nursery. Does she obey orders or does she intervene? Ruth hesitates before performing CPR and, as a result, is charged with a serious crime. Kennedy McQuarrie, a white public defender, takes her case but gives unexpected advice: Kennedy insists that mentioning race in the courtroom is not a winning strategy. Conflicted by Kennedy’s counsel, Ruth tries to keep life as normal as possible for her family—especially her teenage son—as the case becomes a media sensation. As the trial moves forward, Ruth and Kennedy must gain each other’s trust, and come to see that what they’ve been taught their whole lives about others—and themselves—might be wrong. What does it mean to be a good mother? For career-driven assistant district attorney Nina Frost, the question inspires pangs of guilt familiar to all parents torn by the demands of home and office. But whereas most parents lie awake at night vividly conjuring the worst scenarios that could befall their children in their absence, Nina lives the reality of such crises — and it’s her job to do something about them. Nina Frost prosecutes child molesters — and in the course of her everyday work, she has endured the frustration of seeing too many criminals slip through the system and walk free. A man as methodical and careful as his wife is instinctive and mercurial, Caleb Frost is a stonemason who glories in his ability to construct with his own hands the physical barriers that will keep out the unwanted — and protect all that is precious within. But even the strongest walls cannot guard Nina and Caleb from the shattering discovery that their own beloved son has been sexually abused. Five-year-old Nathaniel is the only one who knows the identity of his assailant — but in the initial fallout of his trauma, he’s been left mute, unable to speak a single word. Knowing the futility of trusting the courts to exact justice for Nathaniel, and ripped apart by a maddening sense of helplessness, Nina finds herself in a grip of rage she can’t deny — no matter the consequence, whatever the sacrifice. And then one day Oliver actually speaks to her. Turns out, Oliver is more than a one-dimensional storybook prince. He’s a restless teen who feels trapped by his literary existence and hates that his entire life is predetermined. He’s sure there’s more for him out there in the real world, and Delilah might just be his key to freedom. A romantic and charming story, this companion novel to Off the Page will make every reader believe in the fantastical power of fairy tales.